We are missionaries to Slovakia with ReachGlobal. Todd first arrived in Jana’s home country in February of 1992 and ever since our lives have been focused on serving the church here. 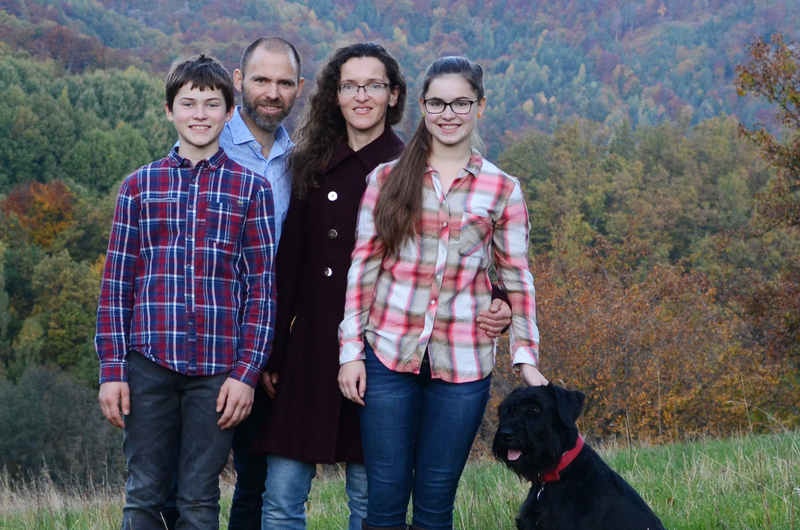 Todd teaches Old Testament at the evangelical seminary here in Slovakia and Jana teaches English at Narnia Elementary School. Our ministry focus is theological education and evangelism. We work closely with our local church, where Todd is an elder and Jana’s brother is the pastor. We believe one of the important challenges facing the church in Europe today is solid evangelical theology for every person. After all, doing theology is not merely an academic pursuit, it is a foundational part of wisdom based living—the process of living out God’s story in everyday life. Also, since Europe as a whole is only 2% evangelical and Slovakia merely 0.2%, the need for a creative and active witness is great. Though Europe is known as a hard place to be a missionary, most missionaries here will tell you that Europeans are receptive to the gospel when shared in the context of a caring relationship. We live in Banská Bystrica (see map below) where Todd teaches at the Department of Evangelical Theology and Mission (DETM). Todd loves preaching and teaching in local churches or at conferences for pastors and lay people. He completed his PhD in Old Testament at Trinity Evangelical Divinity School where he did research on the plot of Genesis. Recently, Todd was Research Fellow on The Creation Project with the Henry Center for Theological Understanding. Just this year, Todd published his first book on the plot of Genesis. Jana is involved with Narnia Elementary School which is an outreach of our local church. About 70% of the students are from unchurched backgrounds. Along with teaching first grade English, Jana serves as a “native speaker” for third graders directs English language musicals for first through fifth graders each school year. Since our kids no longer attend Narnia, Jana’s involvement helps us stay involved in the school community. Explore an interactive map of our lives and ministry in Slovakia.